Water is an essential part of everyone's diet. The human body is made up of at least 50 per cent water and it is important for functioning of every aspect of your body. As a personal trainer, it is important to monitor not just your client's fitness levels, but also their basic nutrition, including sufficient hydration. However, while you may be preoccupied with their health, do not neglect your own in the process. Making sure you drink enough water benefits your wellbeing, which in turn, reflects on your performance when training your client. Here are some reminders on why drinking up can help you. Though your body can last a few days without water, a lack of it will have a detrimental impact on your health and wellbeing. Even insufficient water on a daily basis can affect your mental performance. As you are training someone else to better their fitness, it is important that your mind is sharp and completely focused on the job at hand. It is not a good look if you are forgetful, distracted or mindfully absent when working with a client. With a Personal Training qualification on your record, you need to make the best decisions regarding your client with the education you have received as a personal trainer, without any factors affecting them. A sharp mind will help you stay attentive and professional. As a personal trainer, keep your mind sharp to deliver the best service to your clients. 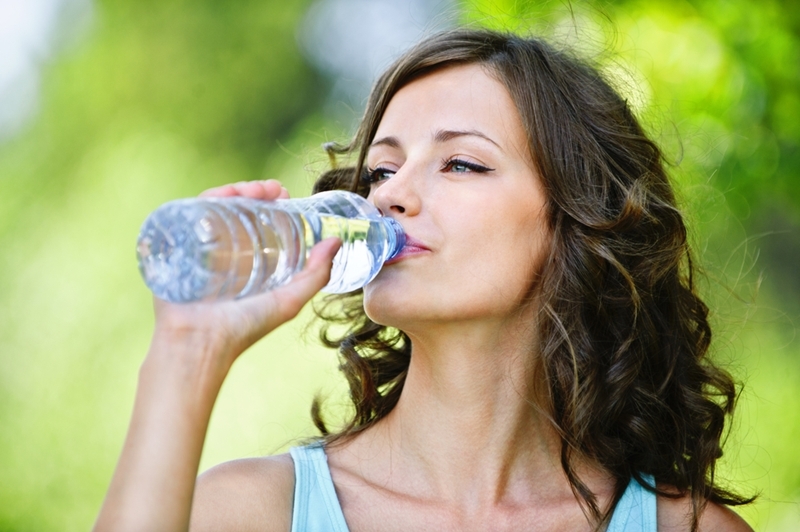 Drinking water is not a magic cure or a slimming supplement, but it is calorie-free. Avoiding drinks that contain high-sugar or high-calorie levels is a basic, yet important piece of advice you can give all of your clients, and take for yourself if you are partial to a sugary drink or two. Thirst is quite often mistaken for hunger, so educating your clients to remain hydrated will allow them to better read their body hunger cues too. Water carries essential nutrients and oxygen to your cells. Sufficient fluid is extremely important to replace the moisture lost through exercise and fitness. Your muscles, without adequate water, will shrink and perform at less than optimum capacity. Not enough water will make you feel faint, dizzy and definitely parched. The Victoria Government's Better Health Channel (BHC) explains that water is essential to maintain the health of your body by carrying nutrients and oxygen to your cells. Healthy, happy cells means a healthy, happy body, which is illustrated through energy and enthusiasm – two key components needed in rejuvenating motivation in your clients. Flush those toxins out of your system naturally by drinking enough water. It will add moisture to your skin and helps with suppleness, fostering a youthful complexion. Elasticity can also be retained to prevent wrinkles from forming, which we all know is the first sign of ageing. A component of a healthy body is digestion. Water can help make the process of food digestion as smooth as possible by providing the energy and nutrients needed for optimised muscle functions. Good digestion is also the sign of a healthy metabolism, which is your body's chance to eliminate byproducts in your system, which the BHC explains could be sodium, potassium and urea. So you have read a few compelling reasons why water is beneficial to your health. As a professional in the fitness industry, water for exercise is of more importance. "Even the slightest levels of dehydration can affect your athletic performance dramatically"
A trendy bottle kept icy cold will be of great relief after a hard workout. Regular intake of water can be easily forgotten amidst the busyness of life, so here are some tips to help you, and your client, stay hydrated. Buy a good quality reusable bottle – you will feel more obligated to use it having spent money on it. If you struggle with plain water, flavour your water with fruit – delicious chunks of nutritious fruit, like a wedge of lemon or strawberries, can make bland water more interesting. Drink when you see others drink – partner up with your client and sip up together. Chill your bottles – it is much more appealing to have an icy cold bottle available after an intense workout. Preaching what you practise is one of the best ways to motivate your clients, and if your healthy habits reflect on them, then it is all the more beneficial to the reputation of you as a personal trainer. Am I an exercise addict?